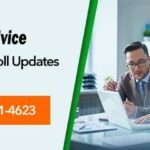 Why Sage 50 Right for Your Client? 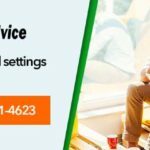 Home » Is Sage 50 Right for Your Client? 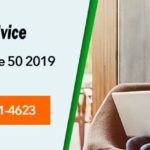 Is Sage 50 Right for Your Client? Sage 50 is an accounting software that can cater to the needs of a variety of clients. There are multiple plans that you can choose from. Sage 50 is easy and simple to install and configure. There are a lot of features, in Sage 50, pertinent and necessary for accounting purposes of a company. Audit trail support: An audit trail is created with every new entry of transaction. This helps businesses to track all transactions and the changes made in them thereafter. This is also useful when your company is trying to file for income tax. These transactions are recorded and organised and can then be used to create reports. Simple and Elegant user interface: The user interface is as simple to understand as it can be. You can view the home window in simple and lucid english or even in accounting jargons. This way sage coves the dichotomy of people into the ones familiar with accounting terminology and the ones who aren’t. On the navigation window, all the major headings have been listed. These heading serve as an aegis to a lot of functionalities that are pertinent to accounting needs of a business. Checks: For this you will need a digital signature of the account holder. The checks can be drafted, stored and even printed. Credit Card: Payment through credit cards is comparatively easier in Sage 50 than payment through checks. For receiving payments all you need to do is enter the credit card information of your customer and select the card through which you want to make the payment. These payments and transactions are recorded in Sage 50. Invoices & Forms: Sage 50 is an amalgamation of these two functions and many more. Sage 50 enables you to send invoices to your customers via email. You can customize forms in this accounting software to give them a more professional look. Customer Support: This accounting software offers customer support by qualified and experienced agents. These agents can walk you through any problems that arise while using Sage 50. You can offer your clients a trial of Sage 50 and check if that particular version suits their needs and requirements or not. Then your client can choose to subscribe to the plan they want to. 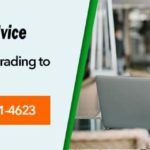 accountingadvice.co is one of the leading remote tech support providers for your Sage accounting software. We have a team of certified professionals who have years of experience in resolving all Sage accounts related issues. Whether you are facing issues while installing Sage on your desktop or need help to fix error messages that are hindering the performance of your software, we can fix them all in the minimum wait time possible. Not just that, we can also help you update and upgrade your existing software for seamless performance. We assure first call resolution of even the most complicated issues. So, call us toll free at+18009614623 and we can help you make the most out of your business accounting software. Call now!